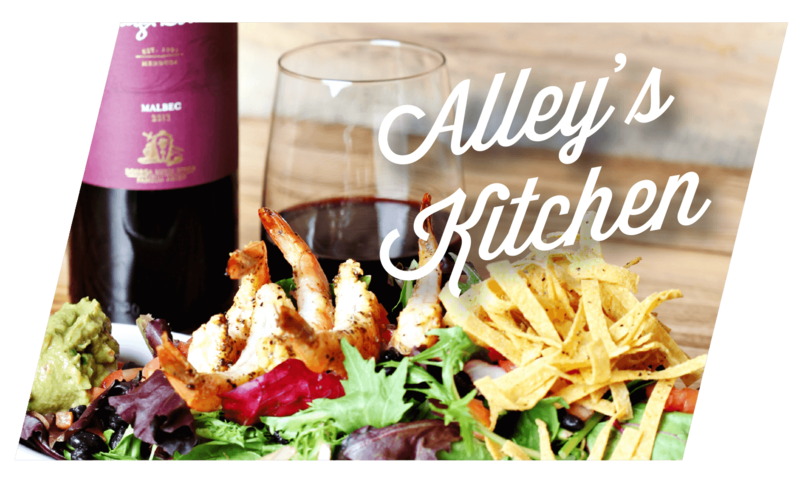 Alley’s Kitchen is High 5’s full-service restaurant and bar offering our guests a variety of American classics with a gourmet twist. 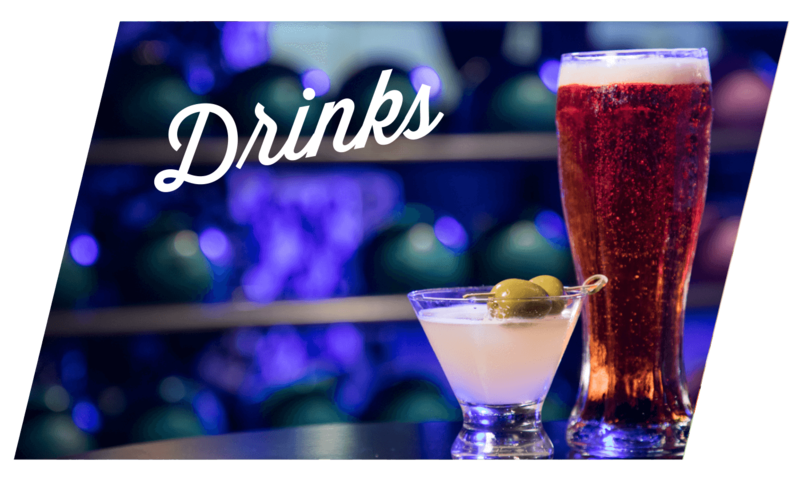 Both our Alley’s Kitchen and Drink menus are served in the restaurant, on the lanes, and in the Up Top Bar & Lounge. We also offer a special brunch menu every Sunday! Guacamole, High 5 queso, pico de gallo, chips. Gluten-free. Bacon, bleu cheese, tomatoes, scallions, truffle oil, balsamic glaze. With poblano peppers and onions. Three angus beef cheeseburger sliders with lettuce, tomato pickle, and onion. 4 eggroll bites, 5 wings spun in sauce, chips & queso, fried green beans, 3 chicken diablos, 3 cheddar taterskins. Chips, sour cream, guacamole, jalapeños, pico de gallo, & queso. Gluten-free. Soft Bavarian-style pretzels, European-style hot mustard. Traditional hummus, pita bread & veggies. BBQ bacon-wrapped with jalapeño, stuffed with cream cheese. Choice of sidewinder fries or gluten-free shoestring fries topped with a cheddar jack shredded cheese, green onions, bacon and sour cream. Gluten-free. Mixed greens, grape tomatoes, cucumber, croutons, carrots. Romaine lettuce, parmesan cheese & croutons, Caesar dressing. Charred strawberries, Australian goat and sheep feta, spicy candied pecans and champagne vinaigrette. Served on choice of bread with cheese, lettuce, tomato, pickles & onion. Muenster, cheddar, & American, tomatoes & crispy bacon on Texas Toast. Pulled pork, ham, Swiss cheese, spicy mustard and pickles on a hoagie. Grilled chicken, pepper jack, sautéed onions, guacamole, bacon, tomato, fried egg. Served with fries or sweet potato fries. Buffalo tenders, bleu cheese crumbles, romaine, tomato, red onion, veggie wrap. Served with fries or sweet potato fries. Toasted triple-decker, turkey, ham, Swiss, cheddar, bacon, lettuce, tomato, & pesto aioli. Served with fries or sweet potato fries. 1/2 lb foot-long Angus hot dog, ketchup, mustard, and relish, served with tater tots. 1/2 lb foot-long Angus hot dog, signature pulled pork ranch bean chili, queso, bacon, pickled red onion and jalapeños, served with tater tots. Hand-battered in house, served with fries. Battered, spun in choice of sauce, served with fries. Flash fried Atlantic whitefish, fries with malt vinegar upon request. Served on fresh corn tortillas with onion, cilantro, lime juice, chimichurri rojo, beans. Gluten-free. All kids meals are served with a drink and choice of fries, sweet potato fries, or chips. Add steamed veggies or fruit for $1. For guests 12 and under. 2 fried Twinkies a la mode, topped with pineapple foster. Handmade donut holes tossed in cinnamon sugar. The original refreshing old-fashioned favorite! Rich, warm chocolate cake and a scoop of vanilla ice cream. 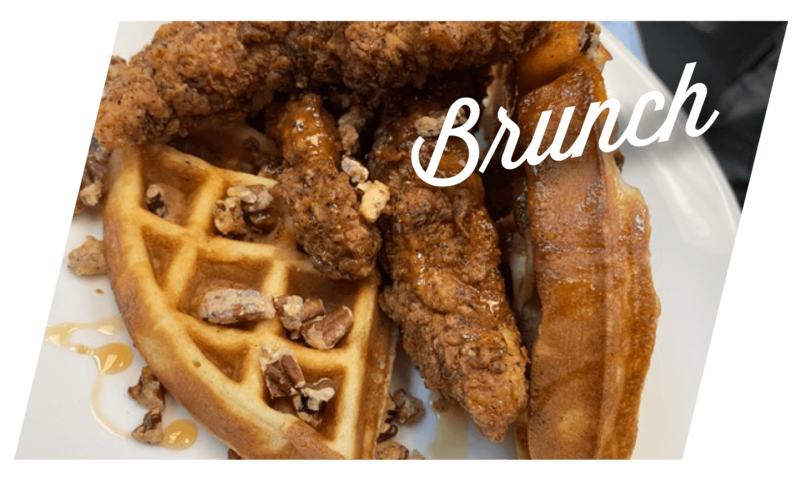 Try our new brunch menu items!